Have you ever deleted important documents off your laptop by accident and had to do whole projects or assignments all over again? Have you ever accidentally deleted pictures and videos that have a special place in your heart? If the answer is yes, you need not worry, EaseUS got you covered! EaseUS is a data recovery wizard for Windows as well as Macs, the latter being the focus of this article. EaseUS Mac data recovery wizard is a software that is completely compatible with MacOS which means that it can be installed onto your MacBook and iMac alike. Once the software is downloaded and installed onto your MacOS device, it can recover lost files not only from the device itself but also from external hardware including but not limited to phones, iPods and SD cards. 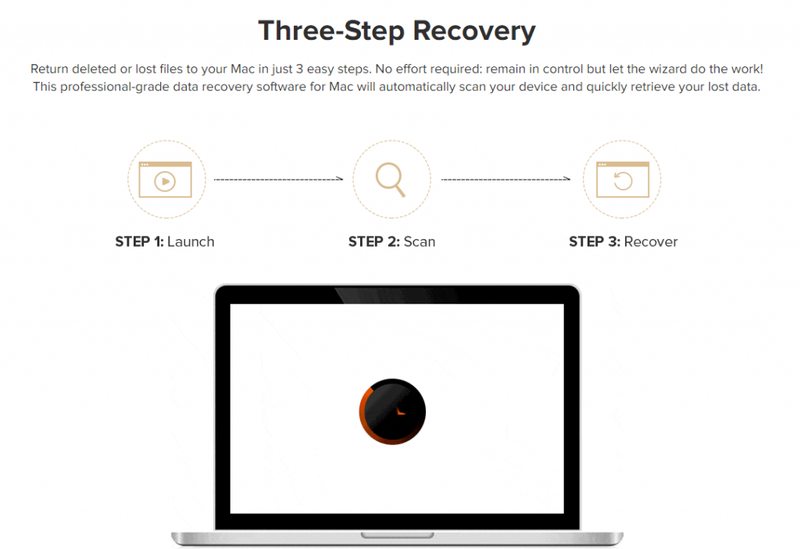 Naturally with software’s like these privacy is a huge concern, rest assured, this Mac data recovery software is extremely reliable and keeps your data secure. Files lost due to other unexpected including but not limited to software failures, device shut downs, sudden ejecting of a memory card or external hard drive and ransomeware attacks. The First step is to download and install the software onto you MacOS device. Once you have done so, you must launch the software in order to get it up and running. Your device will not be damaged in any way. Next, you must go to the disk or partition where your data had been lost from and then click ‘Scan’ to allow the software to locate the lost data. In this third and final step, EaseUS Mac Data Recovery Wizard will display all the files that can be recovered to your device, after which you can select all the files and data that you would like to recover can be downloaded back to your device. And just like that the files you thought were forever lost are returned to you. The best part about this software is that it allows you to access and recover lost data free of charge, however, it does have a Pro version for those who wish to access the more advanced features of the data recovery wizard. Both the editions are essentially the same with only a few differences, both the editions of EaseUS Mac Data Recovery Wizard work extremely well for recovering lost data from devices and allow you to recover a broad range of files such as photos, videos, documents, music files and emails. Both these versions are also able to access the same external devices including Mac computers, external hard drives, USB drives, SD cards and other external storage devices of the sort. However there are a few advantages of the Pro version of the Mac data recovery wizard; for an additional USD 89.95 EaseUS gives you free lifetime technical support which means that if something goes wrong, EaseUSwill provide you with any help you require to get the system up and running efficiently again. In addition to this, the pro edition allows you to recover unlimited data and has no limit to how many lost files you can recover if need be unlike the free version which is limited to a total of 2GB of recoverable data. All in all, EaseUS Mac Data recovery wizard remains the best software for your data recovery needs regardless of which edition you choose to download – the free version will work just as well as the pro edition if the data you need to recover is under 2GB.You can recover all loss data with Pro version at 50% off now. No limited recovery after you purchase the Pro version .